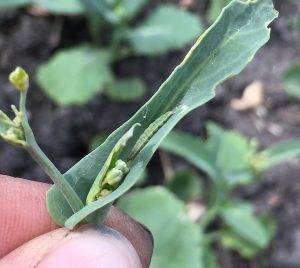 Diamondback moth larvae are at noticeable levels in many canola fields in the Eastern and southern Interlake areas of Manitoba. But levels are generally below the economic threshold. 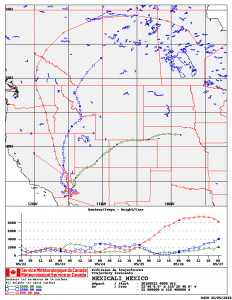 Of particular interest are those trajectories that, prior to their arrival in Canada, originated over northwestern and southern USA and Mexico – anywhere diamondback moth populations overwinter and adults are actively migrating. Here are answers to common questions…. 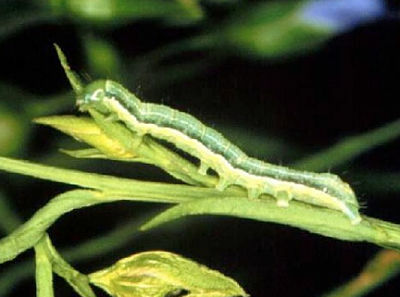 Diamondback moth larvae have been found in many fields this year. In most cases counts have been well below economic thresholds, but keep looking just in case. Some fields are at thresholds and a few have been sprayed. AAFC has published a new cutworm guide, available as a free download, with descriptions of all pest cutworms in Canada as well as helpful management tips, including this excerpt from the scouting section…. 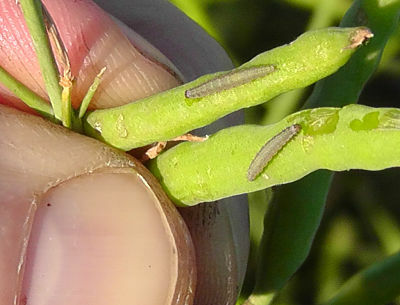 Thresholds for diamondback moth larvae are 100-150 larvae per square metre in immature to flowering plants and 200-300 larvae per square metre (20-30 per square foot) in plants with flowers and pods. Insect scouting: What may you find? 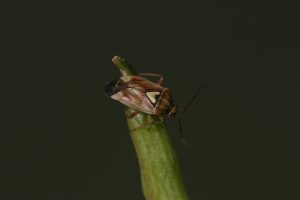 Lygus is one insect you may find in canola this week, but spraying lygus before pod stages rarely provides an economic benefit. Lygus do most of their damage at the pod stages. Flea beetles have been observed in high numbers in some fields. Adults emerge from pupae in August and overwinter to feed on young canola seedlings the following spring. These same adults do feed now, but are rarely an economic concern because high numbers tend to be concentrated. 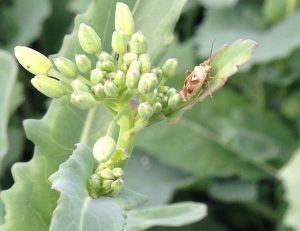 Bud damage and insects are being found together in some canola fields, but that does not mean insects are the primary reason for the damage. Take a moment to assess the damage before making unnecessary or poorly timed insecticide applications. Key points to consider….